Perfectionism is about avoiding feelings of shame and inadequacy. By being perfect, you have permission to not feel bad about yourself. However, you never quite feel good about yourself. Perfectionists aren't trying to achieve something great. They're trying to avoid something negative. A perfectionist can enjoy a few perks. Many people admire perfectionists. However, the disadvantages usually aren't worth it. 1. You waste a lot of time. Some things don't require a high level of attention. To spend more time than necessary is a waste of an important resource: your time. If success is important to you, allocating your time wisely is an important consideration. 2. It creates a lot of stress. When there's only one way to be successful at something, there's no room for error. Perfectionists aren't happy people. There's a constant anxiety that can can't be completely satisfied. 3. You lose sight of the big picture. Bogging yourself down with trivial details can limit your awareness of the bigger objective. 4. You're never happy with your results. You might be satisfied, but you're never happy. Being a perfectionist limits your efficiency and effectiveness. There are signs that many perfectionists share. 1. You take things too far. No matter what you do, you take it to the limit. Everything has to be done as well as possible, whether it's folding the laundry, parking the car, or doing something more meaningful. 2. You long for your high school days. High school is perfect for perfectionists. The competition isn't too great on the average, and your achievements are witnessed by all. Your work is also clearly judged quantitatively. You know exactly where you stand. 3. You're judgmental of others. Your standards of acceptability are so high that no one can consistently achieve them. 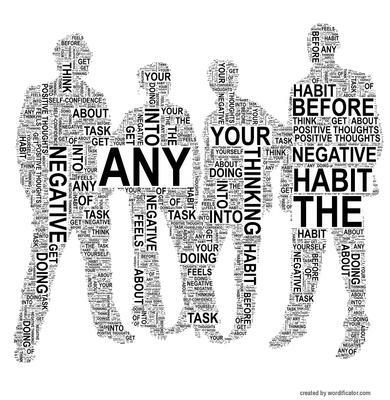 If you find yourself with less friends than you'd like, your commitment to be perfect might be the primary cause. 4. You're too hard on yourself. By the same token, you can't live up to your expectations either. This leads to feelings of disappointment and shame. Are you more successful than most of the people you know, but less pleased with yourself than they are with themselves? Do you find it hard to be proud of yourself? Do you feel happy and proud when you're successful, or do you merely feel a sense of relief? 5. You procrastinate excessively. The need to be perfect creates anxiety and makes it hard to get started. You know you're in for a lot of work and self-induced drama. Under those circumstances, anyone would be hesitant to get started! What Can You Do if You're a Perfectionist? 1. Determine how much time is reasonable for completing the task. Ask a successful friend how long she would spend, and limit yourself to that amount of time. You'll soon learn what's reasonable. 2. Stay focused on the most important activities. Perfectionists spend too much time on minor details. Ask yourself which activities will yield the most results for the time spent. 3. Learn to accept being less than perfect. Notice that no one else cares if something is less than perfect. You don't need to beat everyone. Strive to attain a high level of quality with a reasonable amount of effort and time. Perfectionists believe they're committed to excellence, but they're actually avoiding feelings of inadequacy. If you're a perfectionist, ask yourself why. What do you gain? What does it cost you? Do you take pleasure from being perfect? How do you feel when you're less than perfect? If you discover that you're a perfectionist, each day practice doing something well, but not perfect. It may take a while, but soon enough, you'll be enjoying the benefits of excellence rather than the disadvantages of perfectionism. 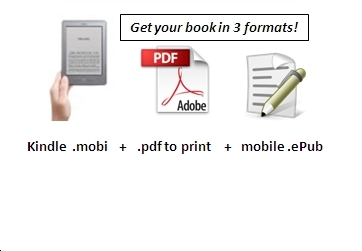 - and you get the book in three formats to read and print out in whatever mode you prefer to read and learn. Did you find this post about how to manage stress informative and useful? If so, please share it with others! If you have a comment, question or suggestion, please leave a comment below!